But that same night the word of the Lord came to Nathan: Go and tell my servant David: Thus says the Lord: Are you the one to build me a house to live in? I have not lived in a house since the day I brought up the people of Israel from Egypt to this day, but I have been moving about in a tent and a tabernacle. Wherever I have moved about among all the people of Israel, did I ever speak a word with any of the tribal leaders of Israel, whom I commanded to shepherd my people Israel, saying, ‘Why have you not built me a house of cedar?’ Now therefore thus you shall say to my servant David: Thus says the Lord of hosts: I took you from the pasture, from following the sheep to be prince over my people Israel; and I have been with you wherever you went, and have cut off all your enemies from before you; and I will make for you a great name, like the name of the great ones of the earth. And I will appoint a place for my people Israel and will plant them, so that they may live in their own place, and be disturbed no more; and evildoers shall afflict them no more, as formerly, from the time that I appointed judges over my people Israel; and I will give you rest from all your enemies. Moreover, the Lord declares to you that the Lord will make you a house. When your days are fulfilled and you lie down with your ancestors, I will raise up your offspring after you, who shall come forth from your body, and I will establish his kingdom. He shall build a house for my name, and I will establish the throne of his kingdom forever. I will be a father to him, and he shall be a son to me. When he commits iniquity, I will punish him with a rod such as mortals use, with blows inflicted by human beings. But I will not take my steadfast love from him, as I took it from Saul, whom I put away from before you. Your house and your kingdom shall be made sure for ever before me; your throne shall be established for ever. In accordance with all these words and with all this vision, Nathan spoke to David. Each Week at the Camas Outdoor Center, I thought about the legacy of our ancestors. Each week, we remembered the legacy of those long past, and dreamed about the community that might be formed and reformed in the week ahead. In the spring and summer of 2009, I was on staff at the Camas Outdoor Center, Helping with everything from cooking meals to teaching kayaking, to leading hikes. Camas is a wild place. It is located on the Isle of Mull, off the Western Coast of Scotland. It’s a mile and a half off the road, and so our guests would walk down a path over heather and peat Moors, a path known as the Track, where wheelbarrows carry supplies and luggage, often having to be balanced on railroad ties, sunk into the ground, to prevent you from sinking into the mud. The only other way to get to Camas is to come by boat, into its sheltered bay. However you arrive, you are always offered a cup of tea or coffee, and on the first night folks arrive, we would prepare a delicious vegetarian dinner, complete with a pudding course, and then we would gather for our Opening Evening Gathering, in the Chapel of the Nets. It’s a small upper room, with exposed rafters above, that hold up the ancient slate roof. The room’s windows look out to the bay, and the walls are of hewn stone. The floor is covered by a circle of old fishing nets, laid out for folks to sit on. When guests arrive, we would gather in the chapel, and share the story of Camas, the legacy of the place they would live in for the next week. It’s a story that has sunk into my bones. In Gaelic, The bay is known as Camas Tuath, which means “South Facing Bay.” Scot’s tend to be fairly practical with, well, just about everything, including the names of places. From the chapel, you can look out at the hillsides and in the winter and spring, before the Heather and Bracken get too high, and see the remains of the Raised Beds that Crofters, or rural Scottish Farmers, had built centuries ago. Our buildings were originally built as Quarryman’s Cottages, built by Robert Louis Stevenson’s Family, who were expert Lighthouse Builders. The Skerryvore reef, that was nearby, is incredibly dangerous, and shipwrecked untold scores of ships over the years. While the residents of the Western Islands of Scotland enjoyed the influx of luxury goods that washed up on their shores with alarming regularity, the local Laird, or Lord, Decided that it was time to build a lighthouse to alert ships to the dangerous reef. And so, the Stevensons were contracted to build a lighthouse, and given permission to quarry stones from anywhere in Argyle that would work. Camas was a prime location to quarry Pink Granite. It is very coarse, and provides a solid surface to walk on when it is wet. The Quarryman built their homes first with stone from the Western Side of the bay, and then built a series of loading docks for the massive stones to be loaded onto sailboats. Eventually, when the quarry was tapped, the cottages became a Salmon Fishing Station. Massive polls were sunk into the front lawn, to dry and repair the massive nets they used. In the 1920’s, Rev. George MaCleod, the founder of the Iona Community, decided to bring a group of Borstal Boys, that is, young men who were incarcerated, to Camas, for a summer of wild living. After one summer, the boys managed to drive the salmon fishermen away, with all their noise and adventures, and Camas has been an outdoor center ever since. For over half a century, Camas didn’t have running water, or flush toilets, or electricity. The food was vegetarian originally because refrigeration wasn’t possible. The lives of many young people have been transformed throughout the years, and eventually a group of them, and former volunteers, or Vollies as we are affectionately known, were gathered together to revitalize Camas, while keeping it a wild place. So, when a wind turbine was built to provide sustainable electricity, it was decided that the volts generated wouldn’t be used for lighting; that’s still provided by oil lamps, candles, and flashlights. Instead, the wind turbine provides electricity for the Fire Alarm system, the offices needs of email, telephone, weather reports and radios, but most importantly, the juice generated by the wind provides hot water for showers, runs a washing machine, and, most importantly, heats a drying room for wet outdoor gear, and the clean clothes from the washer. Plumbing was installed, and an Aquatron, or compostable toilet system, was built, which has greatly improved the quality of produce that is grown in the newly redesigned garden and greenhouse. The kitchen was redone, and a gas powered refrigerator was installed, the community has remained vegetarian, but now, we can keep leftovers for those all important late night snacks. We kept many of the same recipes, including fresh baked scones every morning (and for tea breaks), Soup for lunch with fresh-baked bread (complete with marmite and cheese for those who wish to partake), and a slew of adventurous meals for dinner, including Golden Surprise, lasagna, and just about anything in the Enchanted Broccoli Forest cookbook. Each week, after we shared the story of Camas, we would invite our guests to look around the room and find an item in the chapel that they wanted to represent themselves for this week. The items are a wide range of artifacts from centuries of life at Camas; discarded tools, candlesticks, floats of various kinds, broken kayak paddles, all kinds of things. We would create a sculpture together, of these items stacked against each other, and it remained in the chapel for the week. We would share how now, they were a part of the story of Camas, and that we would be building a community this week that could shape the future of the place for generations to come, but also, their lives back home. I found a deep sense of hope at Camas for the power of legacies to transform the world, not by taking people back in time, but by sending folks up the track at the end of the week with new tools, new experiences of living in community, to move our world closer to God’s vision of how it should be. Laying the foundation for future growth transformation can be a difficult practice. It is for King David in our scripture reading this morning. David sees the city of Jerusalem as it is, the temporary Tabernacle Tents of worship used by the Priests and people, and all he can see is how the future city should be. There is a deep feeling of shame that comes through in this text that David has a cider built home, and God does not. He sets his mind to the way the world should be, and starts to plan for how to make it happen. But God stops him, and reminds him that God has been just fine, thank you very much, without a house, without a temple. A building could easily distract from faith in God, and instead lead the people to rely on the grandeur of the building, of the power of an institution, instead of the power of the people, the power of the Holy Presence of God lose among the Hebrews. And so David is instructed to hold on, to create a legacy for his son, Solomon, to leave for the next generation the undertaking of building a house of worship for all nations in Jerusalem. What is God up to with David and Solomon? At Camas, I saw, week after week, how powerful it was to welcome our guests into the Legacy of Camas, but to not constrict the community they would build. We invited them to consider how they wanted to utilize the pieces of the communal life we had inherited at Camas, to build their community back home, more in line with the Vision of the Reign of God on Display. Just like the sculpture they built at the beginning of each week, they had their own way of putting the pieces together, of building a space for their experiences, so that, when they left a, the transformation and lessons that started on our little bay, could transform their communities. The legacy of the past endowed groups of young people to come and create a community that met their needs, challenged them, and provided opportunities for growth and transformation. It might seem a little counterintuitive, but part of the Legacy of Camas is a deep understanding that our work, it didn’t only happen down at our end of the track, on our bay, on our repelling wall, while we were wild camping, making meals together, playing hours of ping ball, or singing around the Peat fueled fire in our wood stove. The real legacy of Camas happens after folks go home. Our job, as Volie staff, was to equip leaders and community members for the future. We intertwined the Legacy of Camas, the World as it is, with their dreams for the future, with their visions for the World as it should be. Most of the time, we didn’t get to see the results of the work we did, how it transformed communities of young prisoners, or youth organizations in underserved communities across Britain, until years later when staff would go visit their communities. Then we would see how groups had decided to create a new reality in their own lives and contexts. Solomon and his generation, they need to step into their own relationship with The Living God of Israel, and so David is told to wait, to leave a legacy that, counter intuitively he wouldn’t be able to build. The God of Abraham, Isaac, and Jacob, of Leah, Rebecca and Sarah, of David and Bathsheba, would become Solomon’s Generations God as well, bey they would need to figure out their own calling and way of life together. And that was a legacy David could leave, an opportunity for growth, and discernment, and faithfulness. As I walk the grounds of MPC, I am often overcome with a deep sense of legacy. I often walk around, lifting up prayers of Thanksgiving for the Departed Saints of this place who built this sanctuary, who cared for our woods, who rest in our memorial garden. What are the legends, the values, the resources that we will pass on that the next generation will have to build a community and Respond to God’s Call on their lives? I find myself wanting to express my gratitude to the Saints, by working to create a legacy for the next generation. 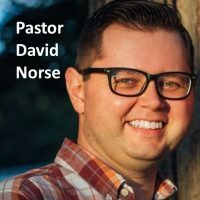 As someone who is currently encountering God’s new life bursting forth all around us and among us, as a community able to build upon how God has encountered folks in this Church in the past, I have discovered a hope to be able to pass on to the next generation a legacy of creatively responding to God’s call, to partner with Her Mission in the World. The Founder of the Iona Community and of Camas, George MaCleod, was fond of saying that “there is nothing quite like a difficult, worthwhile task to build community.” And it’s true; Congregations where people are able to shape the community based off their own relationships with one another, not based on a model or structure from the past, are more engaged and experience a deep sense of belonging. Beloved, This November, as part of our stewardship campaign, I invite you to consider creating a plan for legacy giving. We can create a foundation that will allow future generations of progressive Christians to have the resources needed to shape and create a church that can engage in God’s mission in the future. And what’s exciting is that we can start to see the beginning of that transformation taking root now. What a gift, to know that we will be able to ensure its continued existence and flourishing when we go to rest with our Ancestors. I will be sending out information on how you can engage in legacy giving here, and we will also have a legacy reception immediately after worship today, for those of you who want to learn more. I hope you will pray and consider how to steward our congregation’s legacy. I hope you will join me in equipping those Saints who have yet to come into this place, who nevertheless, join us around Christ’s table, urging us to move the world from how it is, to how it should be. In the Name of The God of Our Ancestors, Ourselves, and the Generations to Come, Amen.